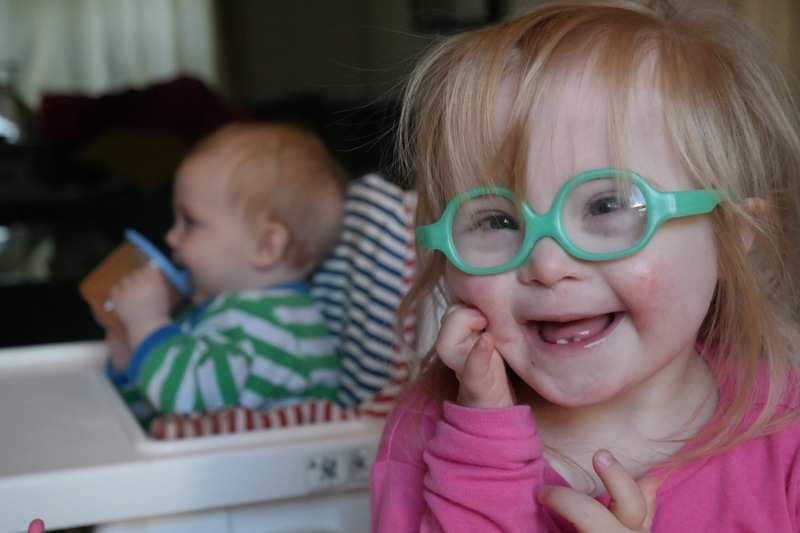 I have a question for mothers of children with Down’s Syndrome; is knowledge power? Do you prepare for the worst or simply expect the best? I follow a lot of families with the extra chromosome in the mix. I see the highs and lows of parenting (full stop). I also see the highs and lows of parenting a child with special needs. Sometimes I see stuff that scares me. I start analysing Audrey, or worse; start Googling. Something that has played on my mind recently is “sensory overload”… Children with DS who are unable to cope in noisy/busy environments. Concerts. Parades. Carnivals. Festivals. Stuff that’s fun. We’ve had a taste of Audrey reacting negatively to situations like this when she got upset at the (very noisy) Children’s Parade and sometimes she complains when things are “too loud”. The thing is, lots of kids might get upset by a loud parade, but because she has Down’s Syndrome, it’s the condition that gets the blame. We went to a pirate birthday party and Audrey was especially clingy and wouldn’t eat her food (even though chocolate, yoghurt and fruit were on offer – her faves!). She only really relaxed when all the kids went outside to hit a piñata and we stayed inside and “Let it Go” started playing. And then there’s the family-friendly gig we went to (with ear defenders) and she just stared with her mouth open the whole time. She at least clapped after every song, but for Audrey, our little groover, it was odd. She usually goes mad for live music, but instead she looked more “special needs” than I had ever seen her. And I feel it’s a double edged sword – everyone either assuming she’s gentle/placid/agreeable (she’s not always like that by the way) because of the Down’s Syndrome…. Or when she is moaning or whining like a typical 3 year old would, I feel worried about people thinking it’s a kid with special needs losing the plot. That they are looking at me and thinking “Poor woman, I bet that kid is hard work”. If she were a typical child, it would just be that Audrey is having a standard tantrum. Recently it was bonfire night and we went to a friend’s house for fireworks. We did forget the ear defenders, but to be honest, I don’t think they would have made much difference- fireworks set off in a small garden are and absolute assault on the senses! Audrey didn’t like them at all and Rex wasn’t keen either, in fact Audrey’s 2 year old friend came inside to escape too. 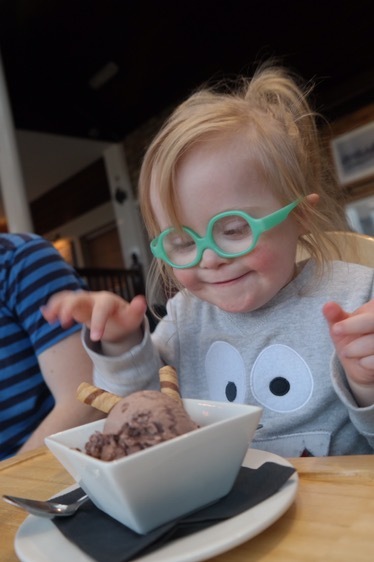 But one of our friends was very much singling out Audrey as having a problem with them, you could hear from her tone she was suggesting that it’s an issue for Audrey because she has Down’s Syndrome. And that grates to be honest. It’s frustrating that we can’t escape her syndrome sometimes. 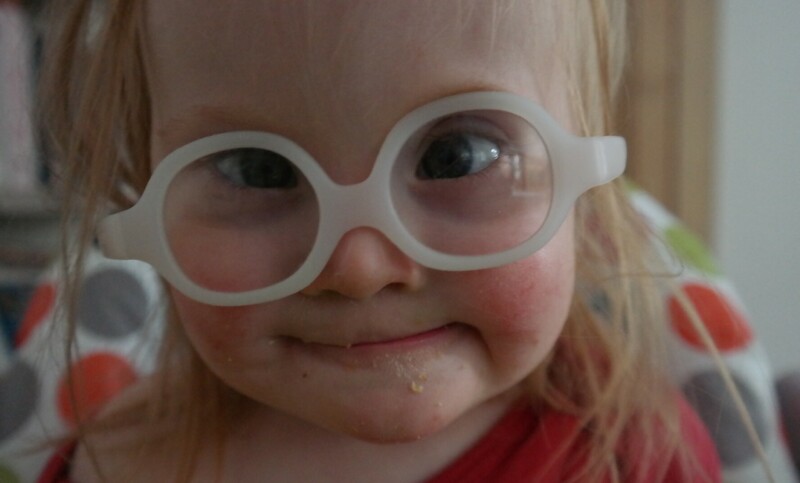 I guess I used to assume everything was just Audrey being Audrey, but as time goes on, I’m wondering; should I prepare for stuff that kids with Down’s Syndrome typically encounter? Maybe I should stop fighting it and accept that DS makes her more prone to being a certain way? I look at Audrey, our gentle, usually careful little girl and cannot imagine her becoming an out of control runner, toy thrower or rubbish sleeper… But I worry about it regardless. Mostly I see a bright future of cuddles and fun with Audrey, but the worry creeps in sometimes. It’s natural and it’s enhanced when a condition gives you clues as to how human might be. And as she grows, she learns and she starts pushing boundaries, so I’m getting used to Audrey causing more trouble than she used to and not being that placid agreeable creature that some people assume she is. 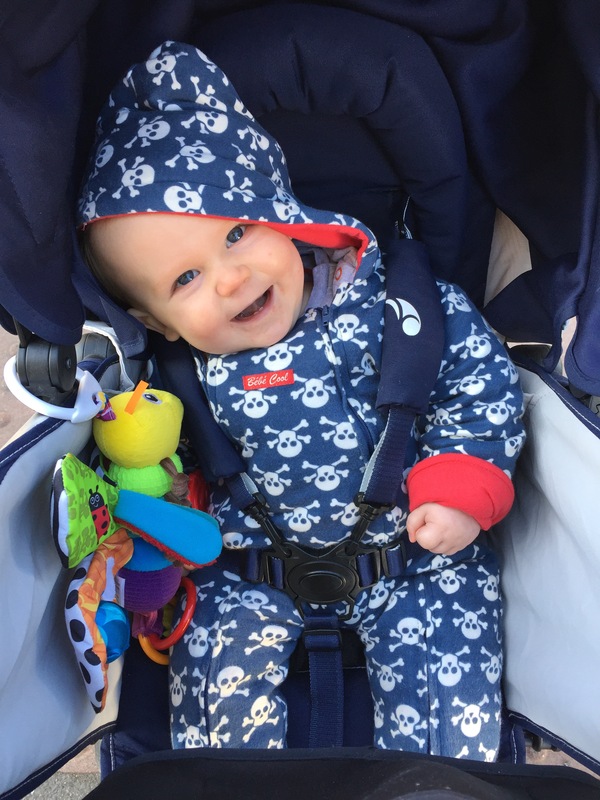 So I guess I’ll just try to go with the flow and see how she turns out… Much like with her brother, who has no “syndrome” (that we know of), but is proving to be an active and tiring baby to look after! So do I project and assume he’ll always be hard work?!! No! Let’s just see what happens…!